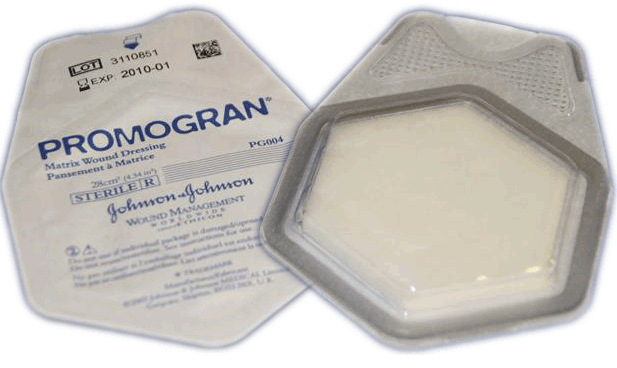 Promogran Wound Dressing is a dressing crafted specifically for wound treatment and care. This wound treatment dressing effectively encourages tissue repair by creating a moist wound environment that is conducive to cell and tissue repair. Used to treat a variety of wounds and ulcers, this dressing adequately reduces a patient's risk of developing a wound-related complication or infection. 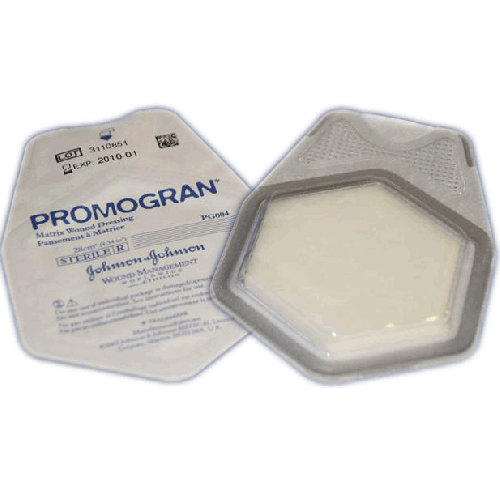 Promogran Wound Dressing treats wounds by optimally transforming a soft, comfortable gel over the entire wound bed to encourage healthy tissue repair and healing. Easy to use and gentle on the skin, this is an ideal wound dressing for a variety of different types of patients. 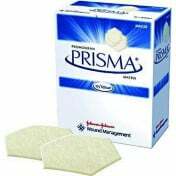 You might also be interested in similar wound treatment products that we carry, such as Promogran Prisma Matrix Dressing. ORC/collagen matrix dressing that provides an environment which attributes cells and supports tissue growth. Used to treat a variety of ulcers and wounds. Treats the wound by transforming into a soft, comfortable gel over the entire wound bed. Does Promogran have polyester in it? This dressing is made from a matrix of 55% collagen, 44% oxidised regenerated cellulose(ORC), and 1% ORC/Silver. There is no mention of polyester from the manufacturer. How often does Promogran Prisma Ag need to be changed? Dressings that contain silver have different changing times than those with alginate or other materials. We recommend contacting the manufacturer for specific changing information. This healed my wound fast, where other products failed. Ordered by my wound doctor but insurance wouldn’t pay for it. Big thanks to Vitality Medical for selling this to me. If you want a wound to heal fast this is the product you need. This stuff is awesome. Diabetic open wound for over a year that even skin grafts didn't fix. Once the doctor used this Promogran down in the wound for a couple of weeks, it actually closed up and healed over. I'll always keep this on hand at home.